I was tagged by Constança to show my desk, which also happens to be my dining room table. 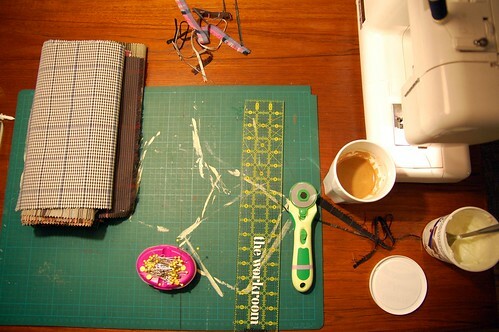 At the end of each night (or so) I clear the table off until my next sewing session. This is probably best, because I would have one of those desks that was full of piles and overly messy. I took these photos over the course of a weekend, so you can see me jump from project to project. I hope you have a lovely weekend, friends. I’m making great progress with my holiday gift making. I won’t be able to tell you about a lot of it until after Christmas, but I’ve got a few projects that should be ‘safe’ to share with you. 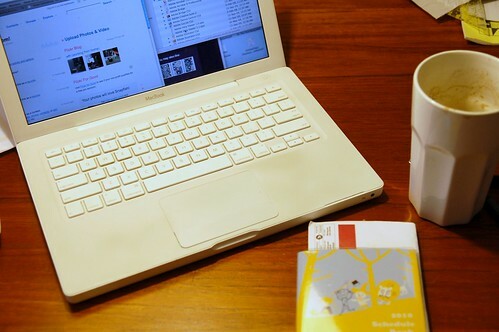 Karyn, I’m eating Liberté Mocha yogurt as I’m reading your post! Where did you get your Shinzi Katoh agenda?? hi lois! i got my shinzi katoh agenda from the paper place on queen west here in toronto. this is my third year using these agendas. It’s always fun to see what people’s work spaces look like! I’ll try to remember to make a blog post about my desk in the next day or so, and I’ll send you a link! 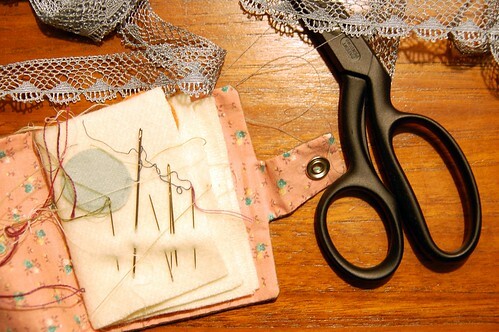 I love your sweet little needle book! Is that from one of the trunk shows? 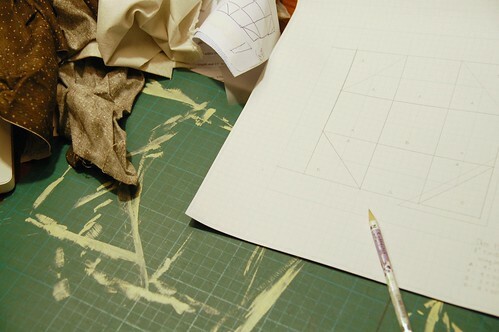 I’m so glad to see your work table! I don’t usually like these memes but I thought this one was actually interesting. Thanks for tagging me Karyn! I will definitely post photos of my desk/work space in the next few days. Today is it un-naturally clear as are having friends over so I will be sure to take a photos when it is in its normal chaotic state! thanks for sharing!! i used to use our dining room table… until i took over an entire room!